As a fellowship, we are dedicated to teaching verse by verse expositionally through books of the Bible. We are currently in the book of Hebrews on Sunday mornings. We invite you to listen to a study before you visit. You can expect to hear contemporary worship music during our services. We strive to create a setting for community worship where believers feel comfortable joining in song. 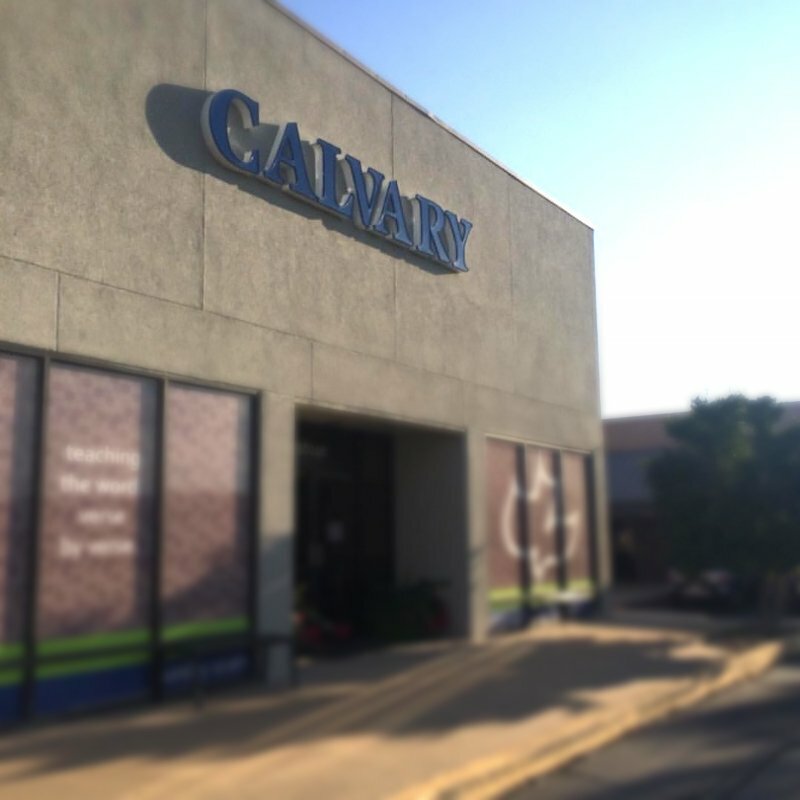 You can expect to find a casual and friendly atmosphere at Calvary. Our dress is informal and our manner is laid back with a few exceptions. One of those exceptions is that we do not allow children under 11 in our main worship service. The nursery and Calvary Kids classes are fully prepared to teach and care for your child during the service. We understand that it can be difficult to drop your kids off in a new place, therefore we provide a family room where you can watch a feed of the service with your children while you are visiting. Also, we begin service promptly at 9:15am and 11:15am. Please arrive in time to find a seat before service starts. Palm Sunday 2019| In or Out?